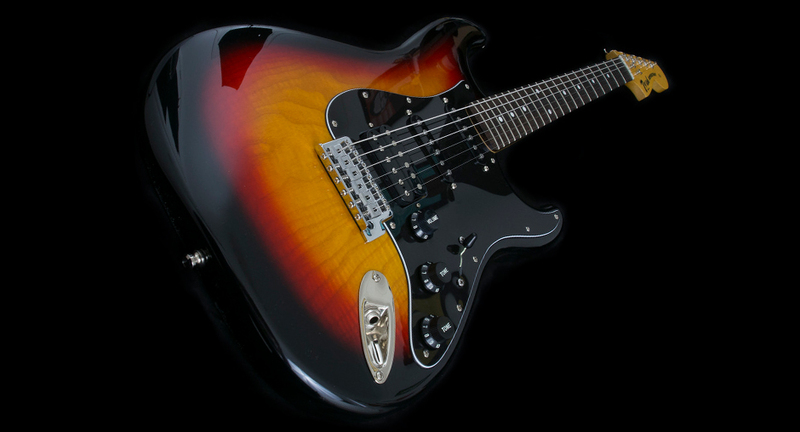 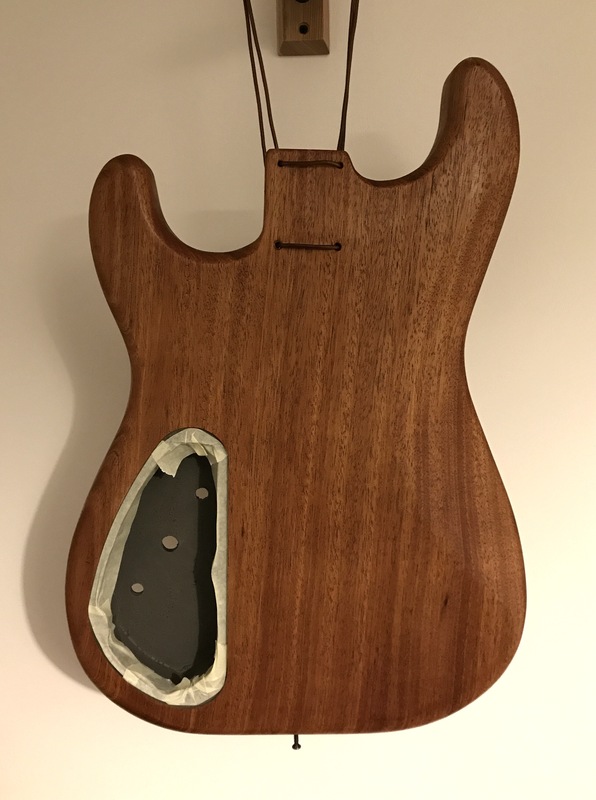 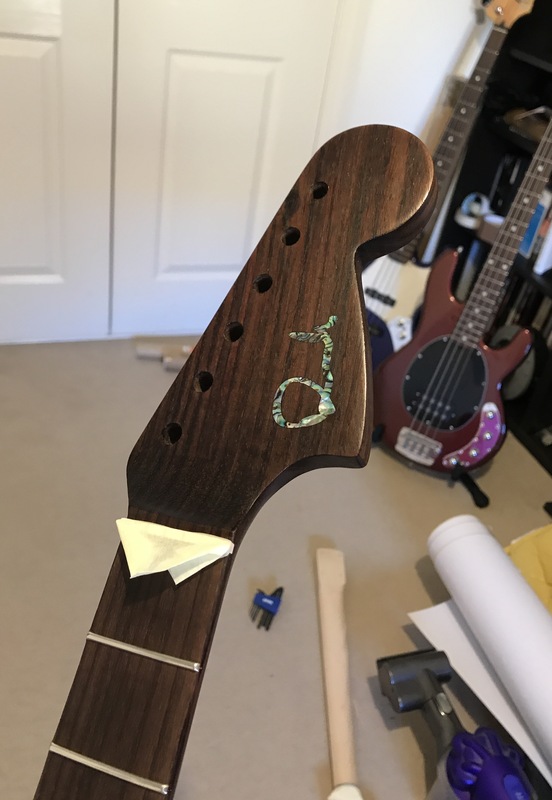 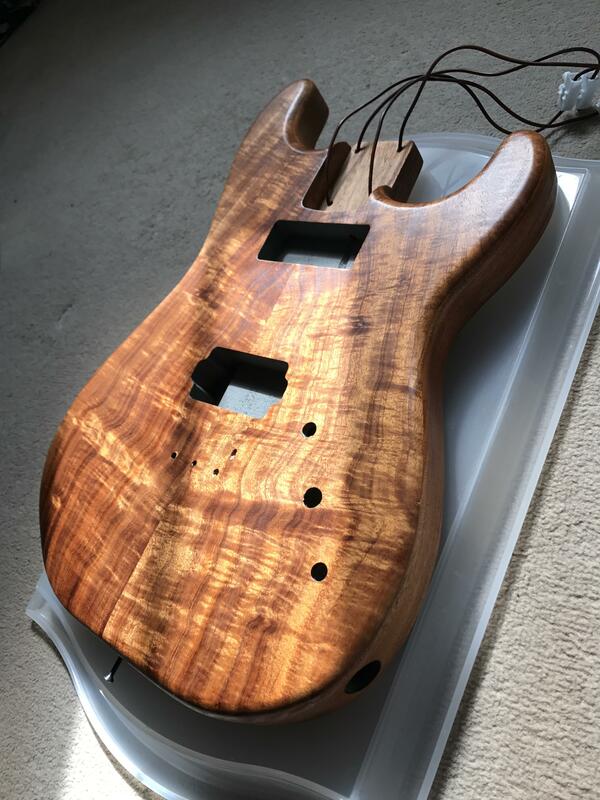 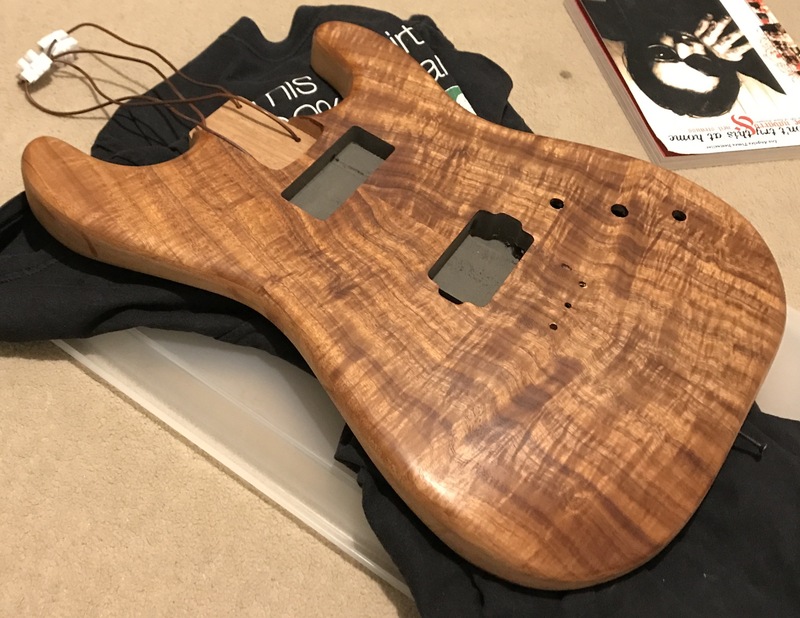 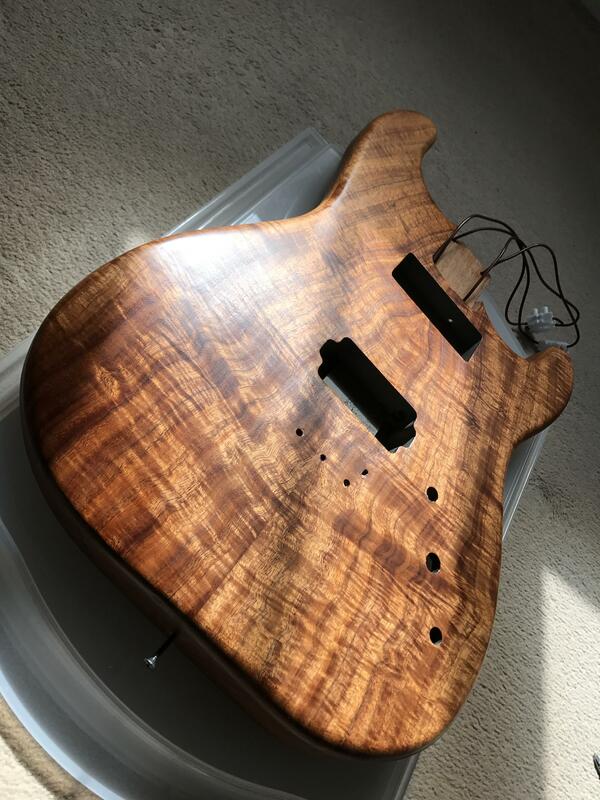 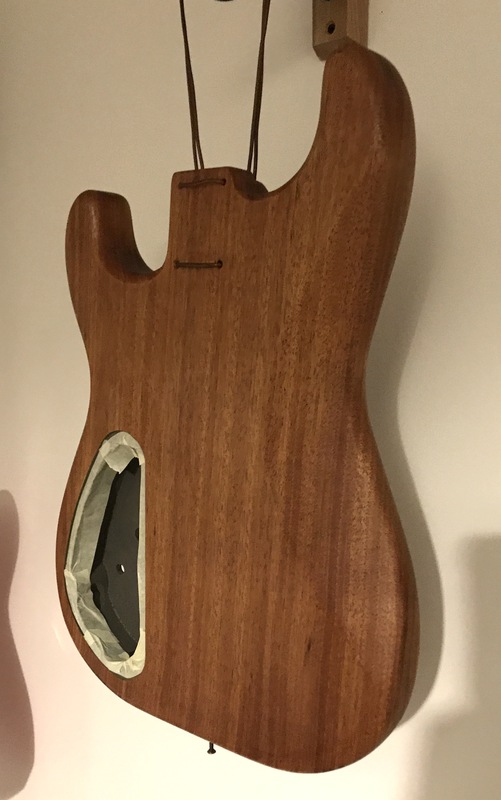 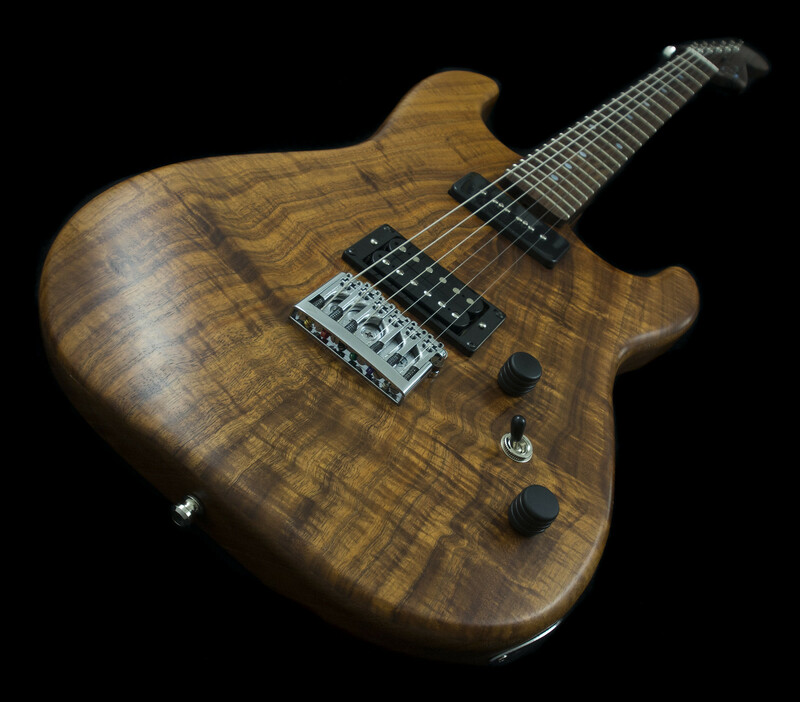 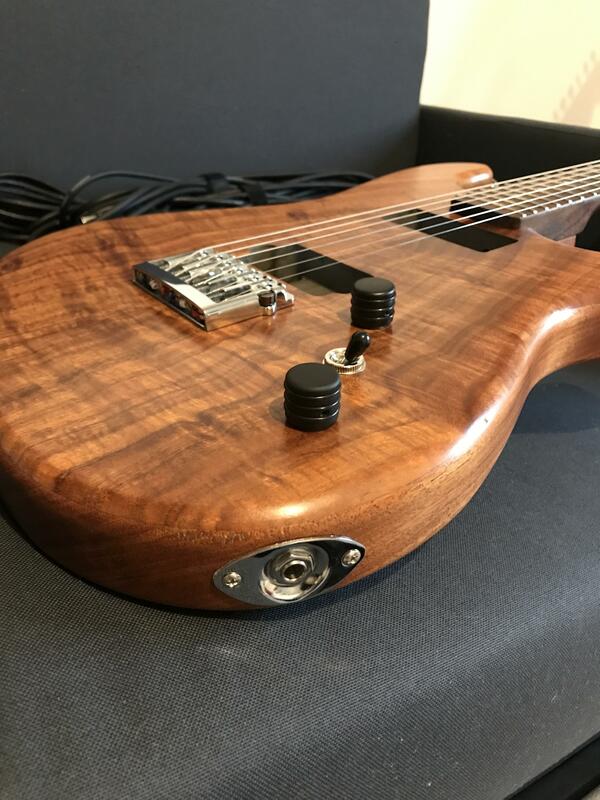 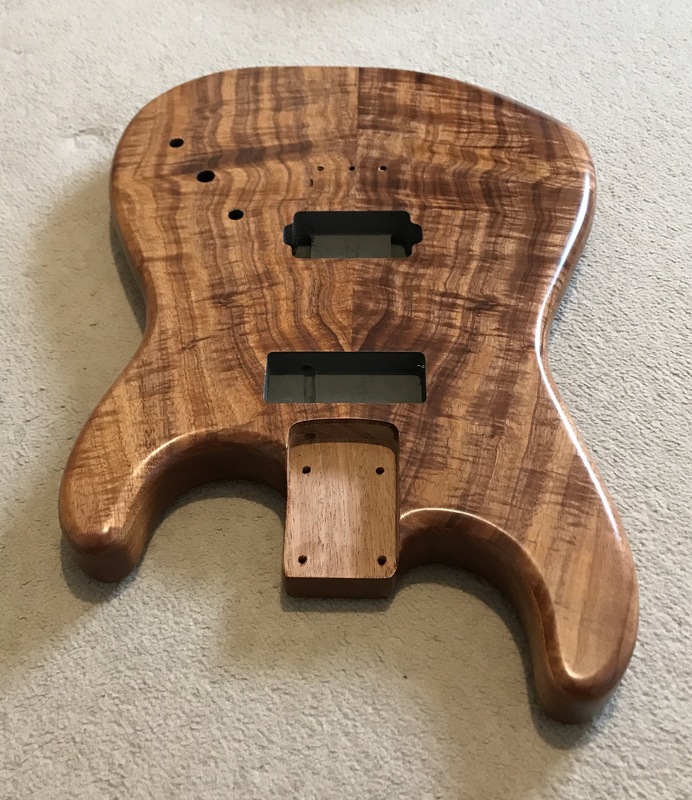 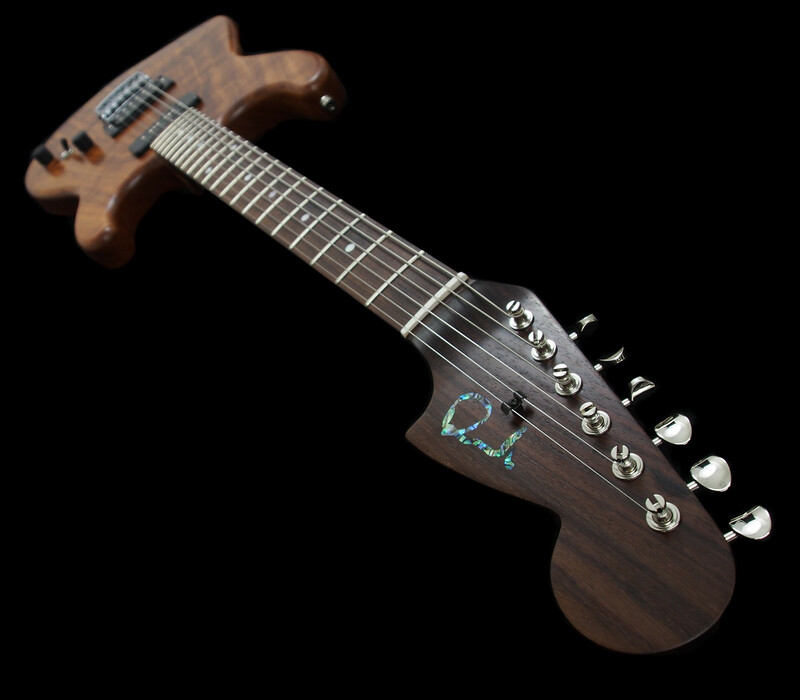 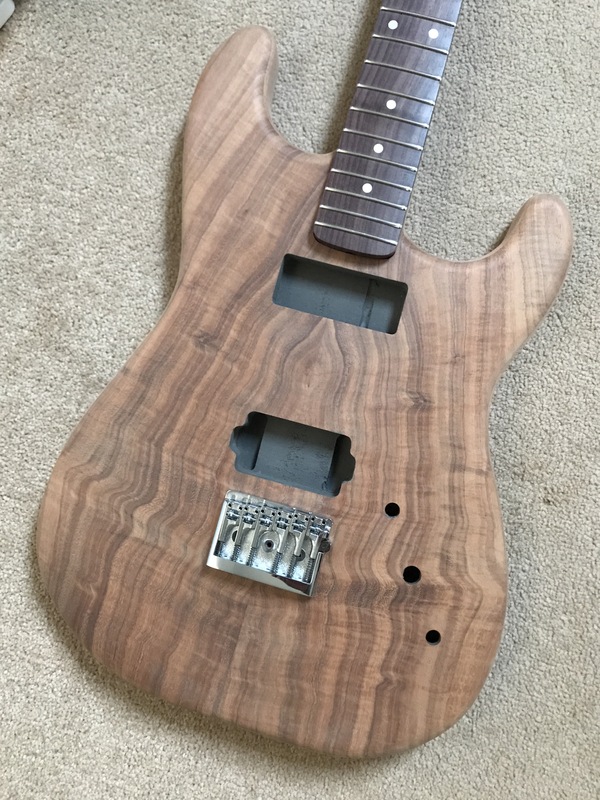 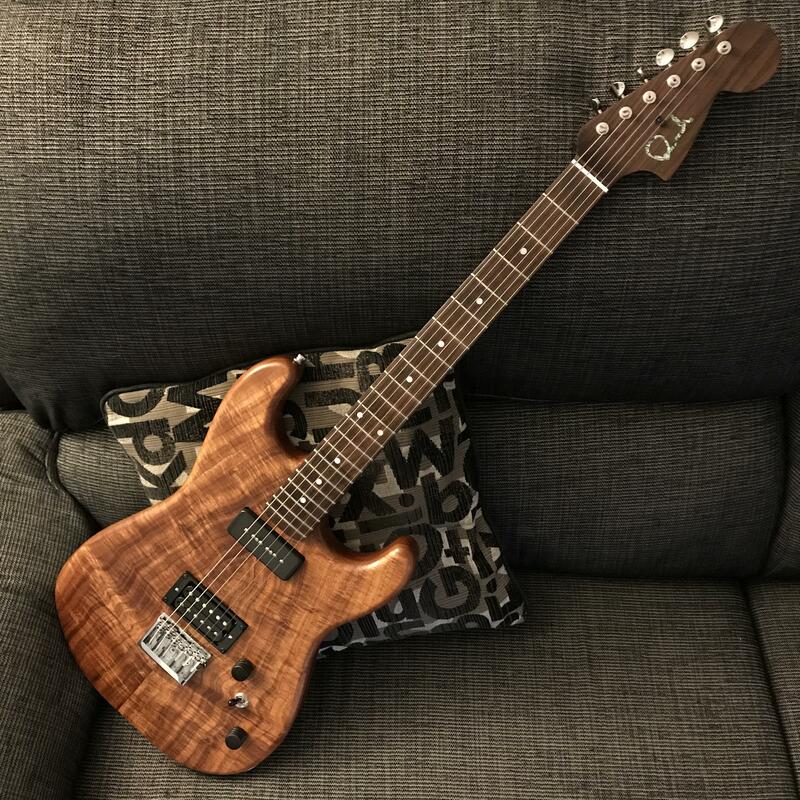 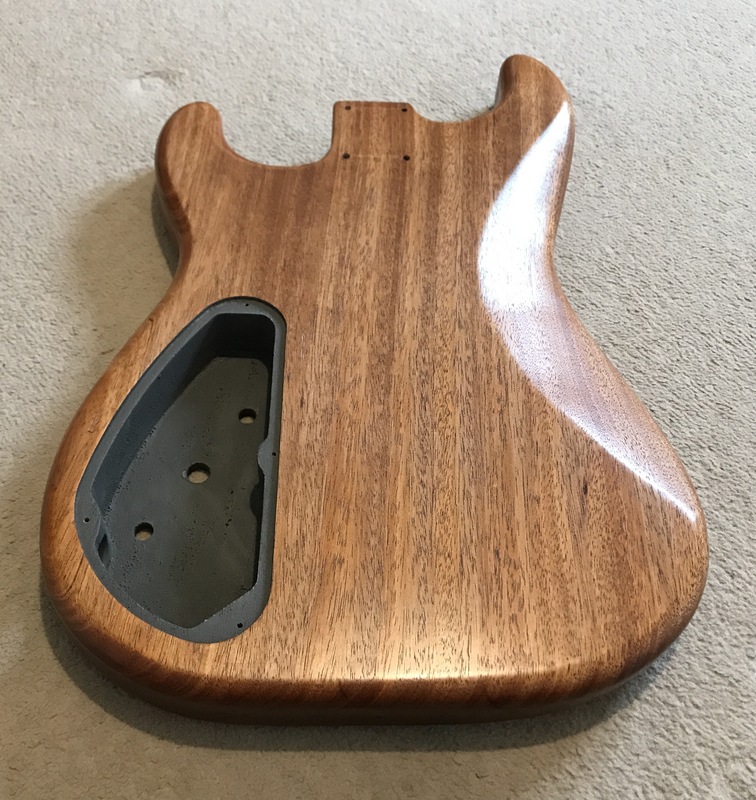 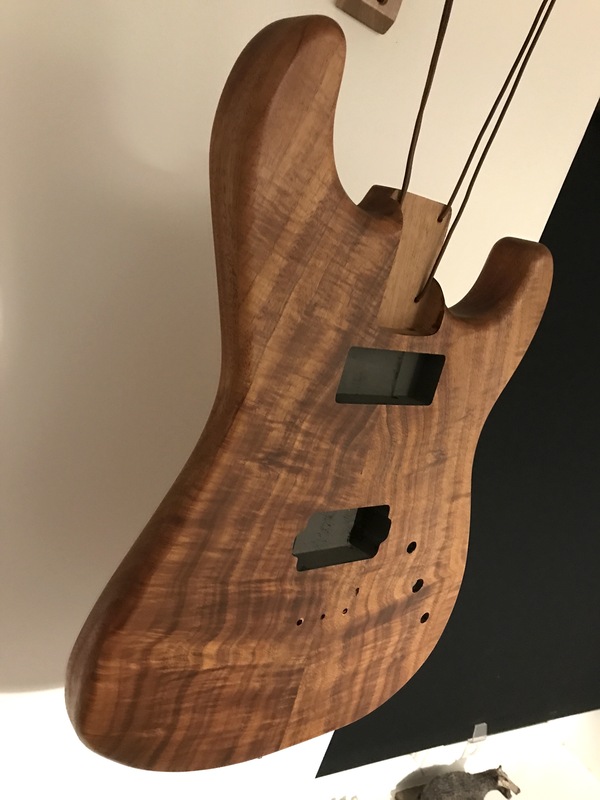 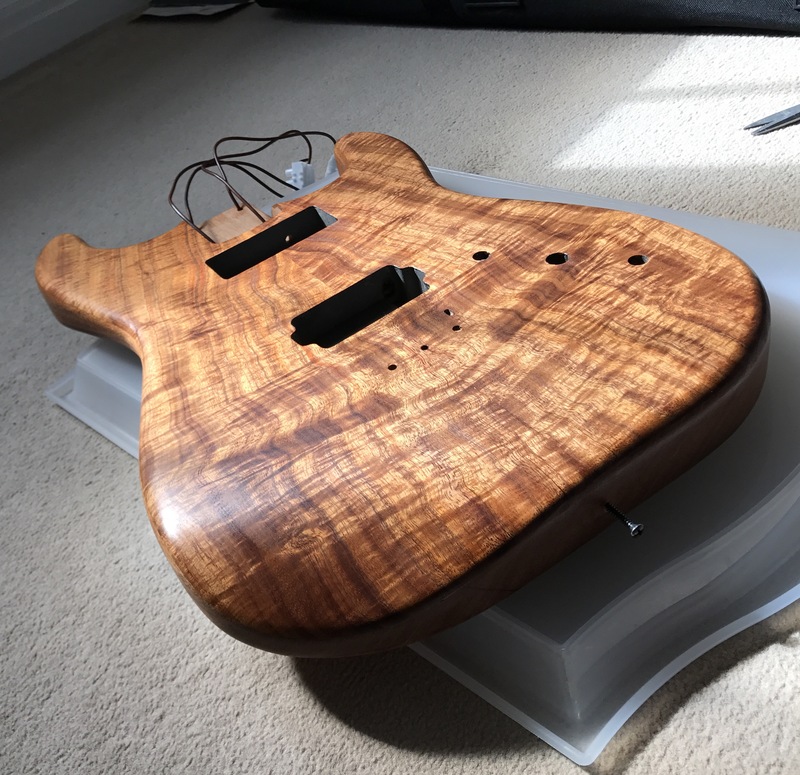 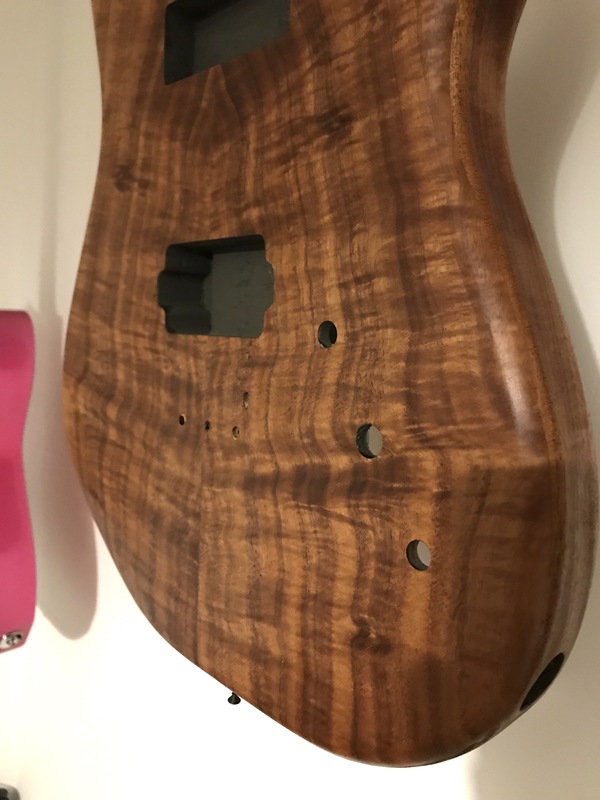 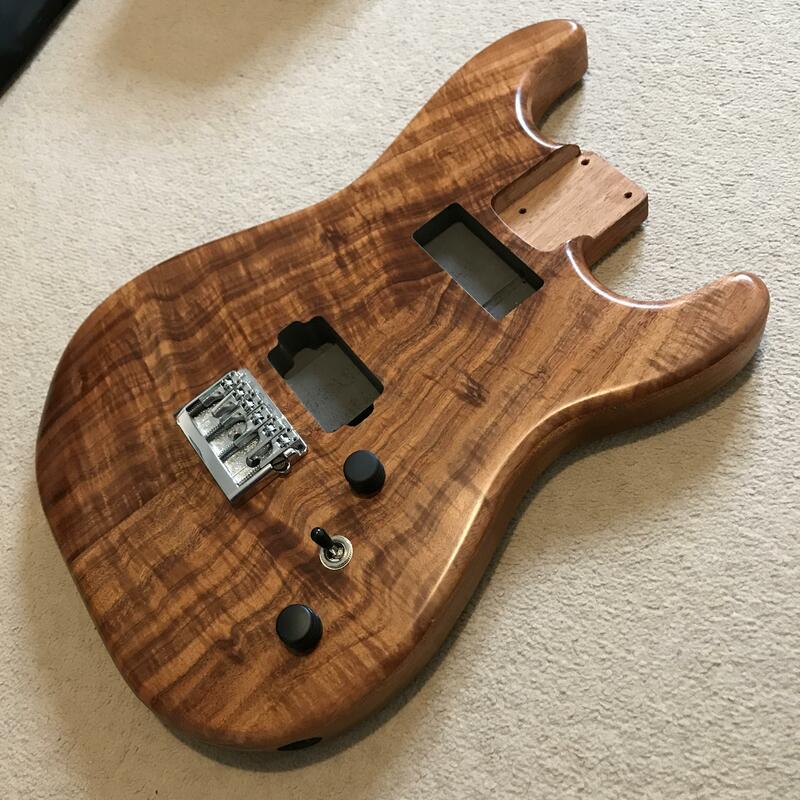 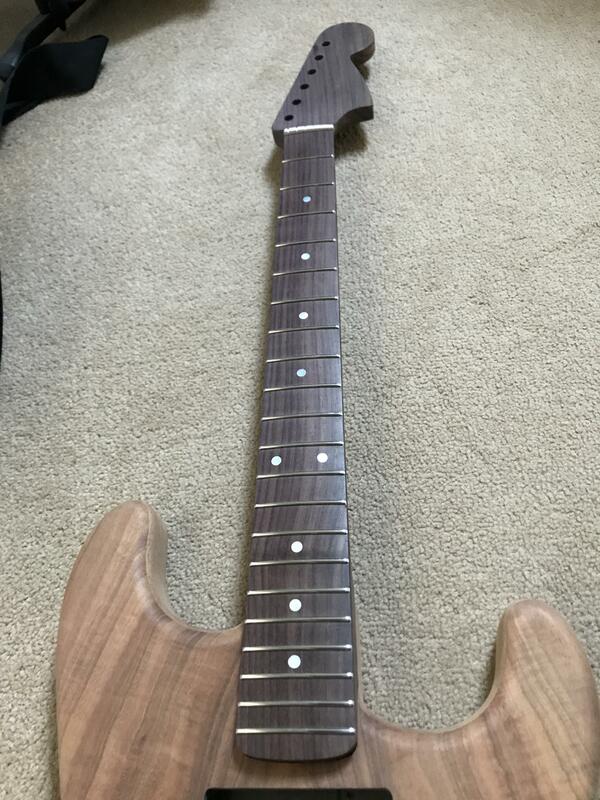 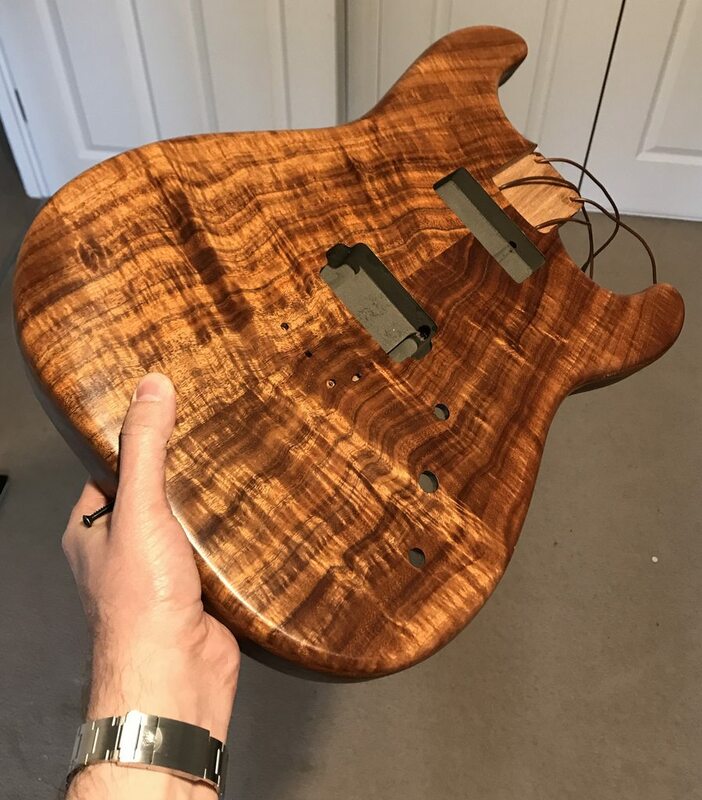 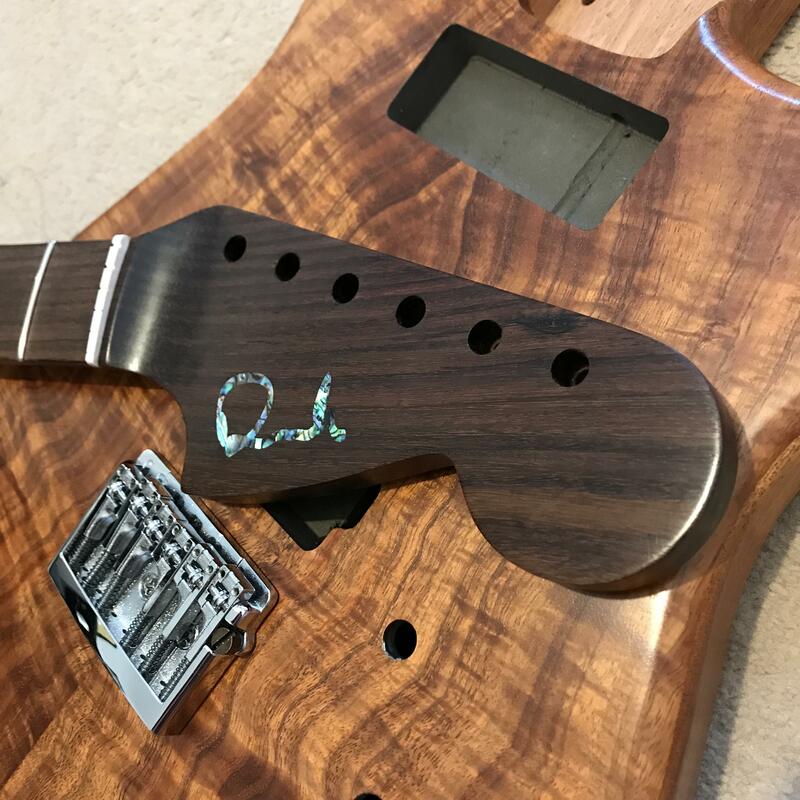 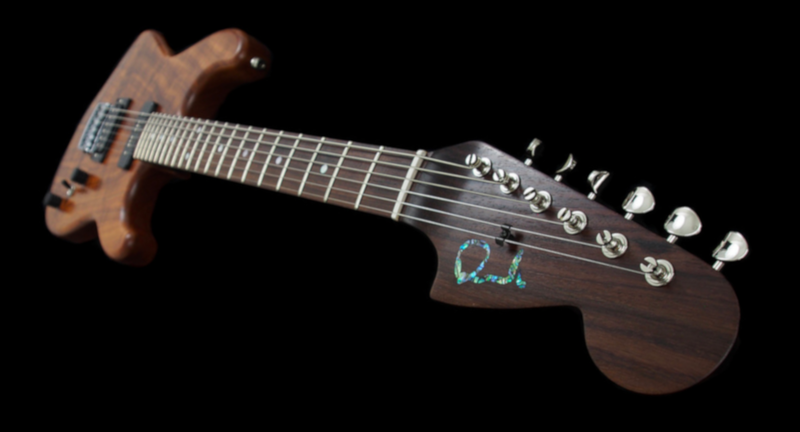 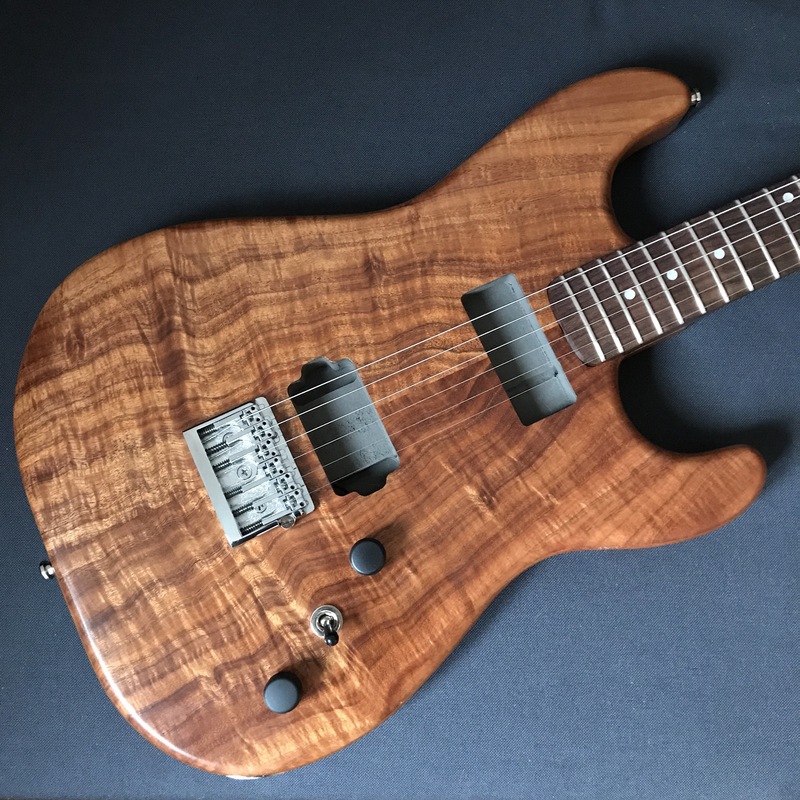 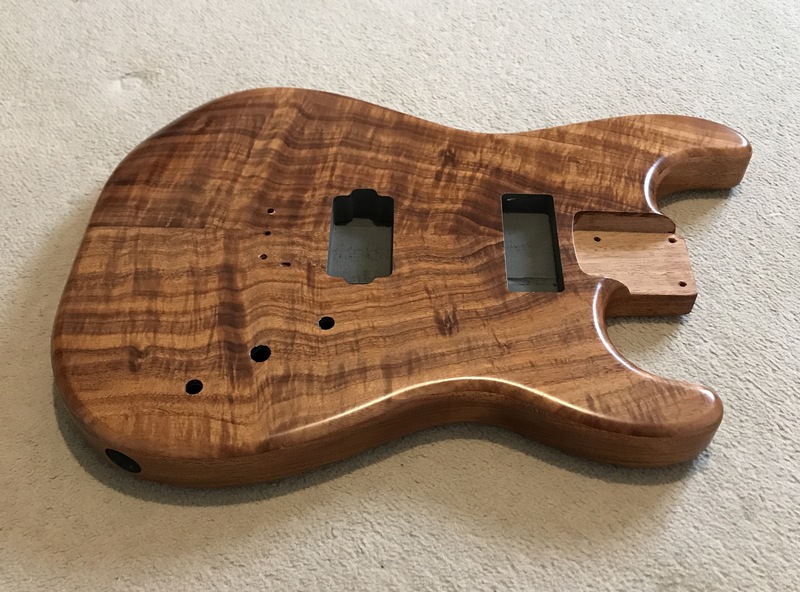 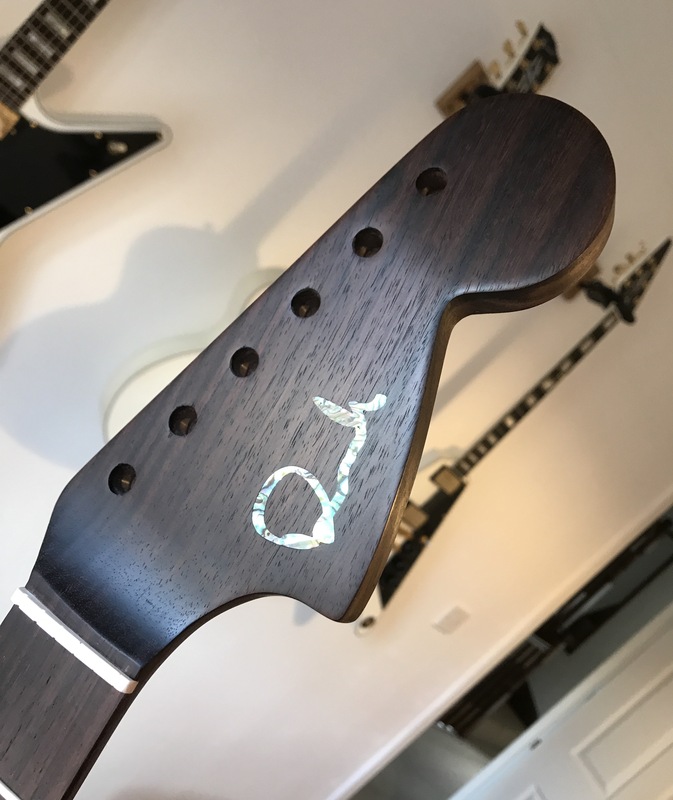 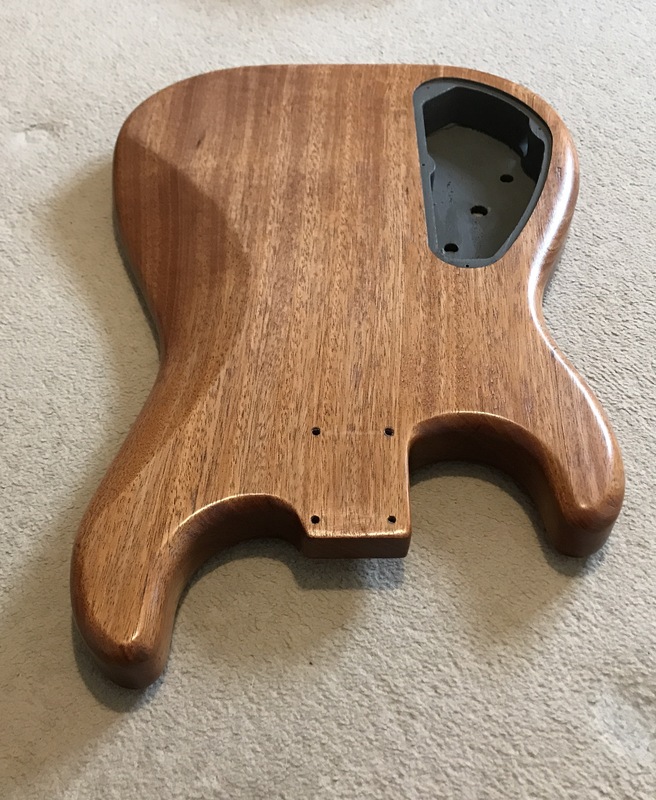 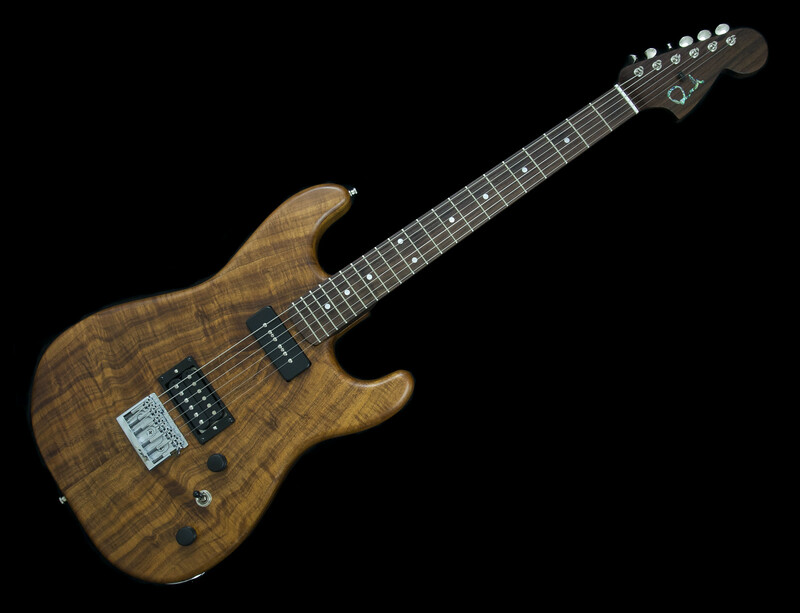 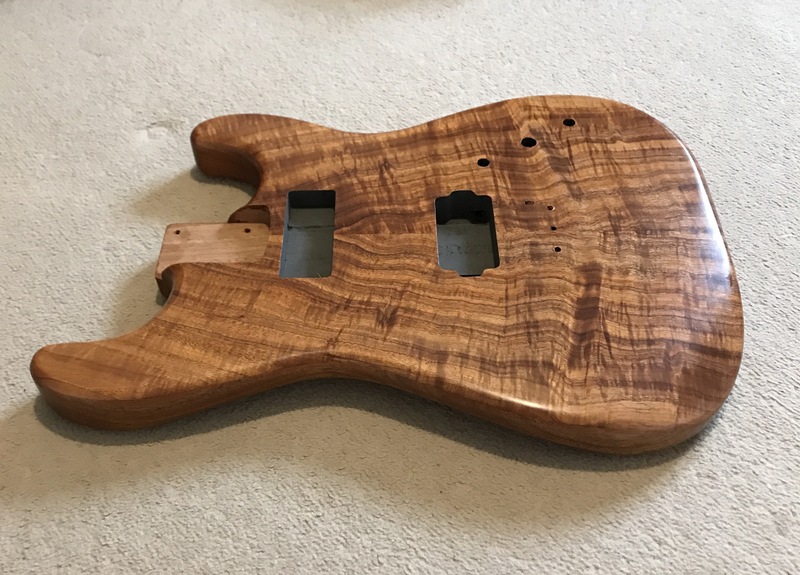 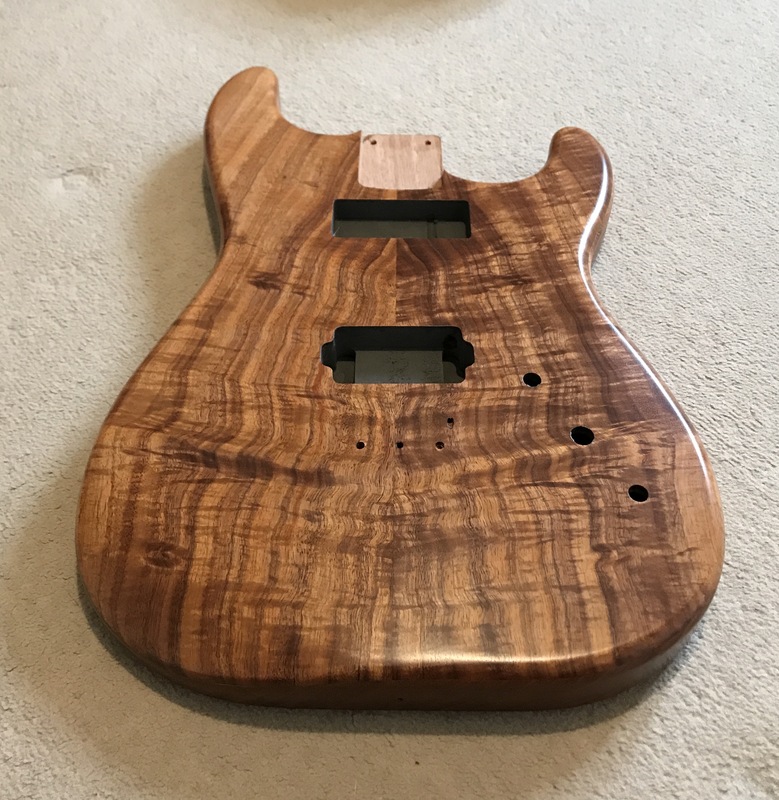 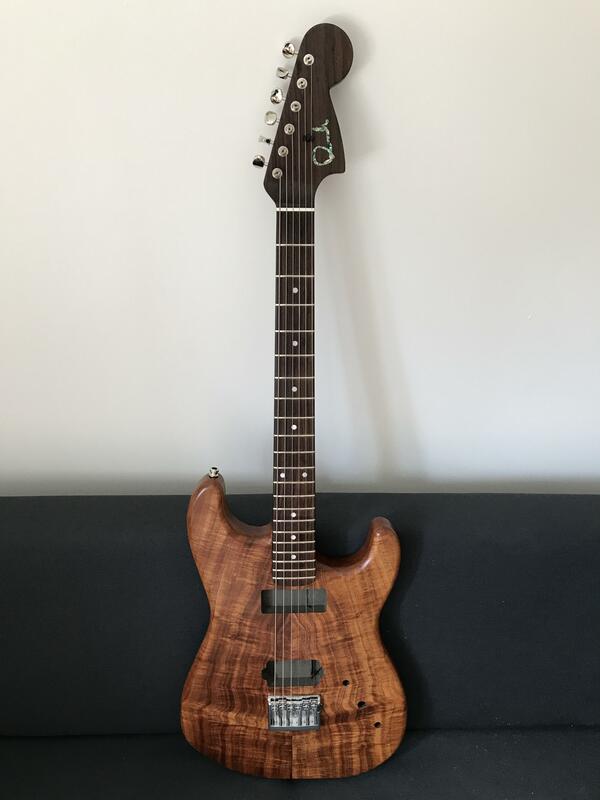 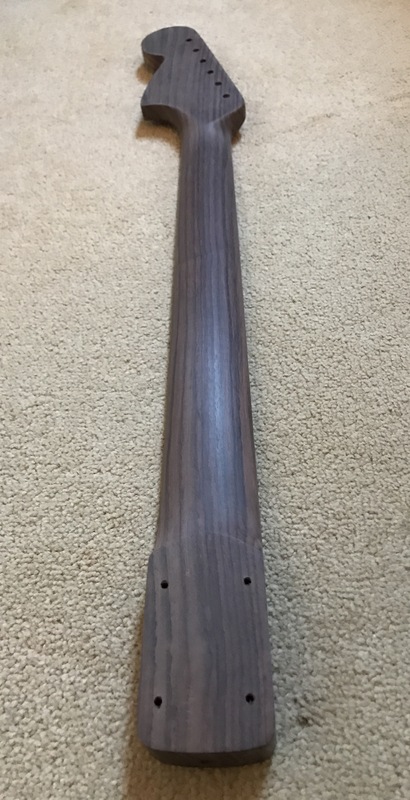 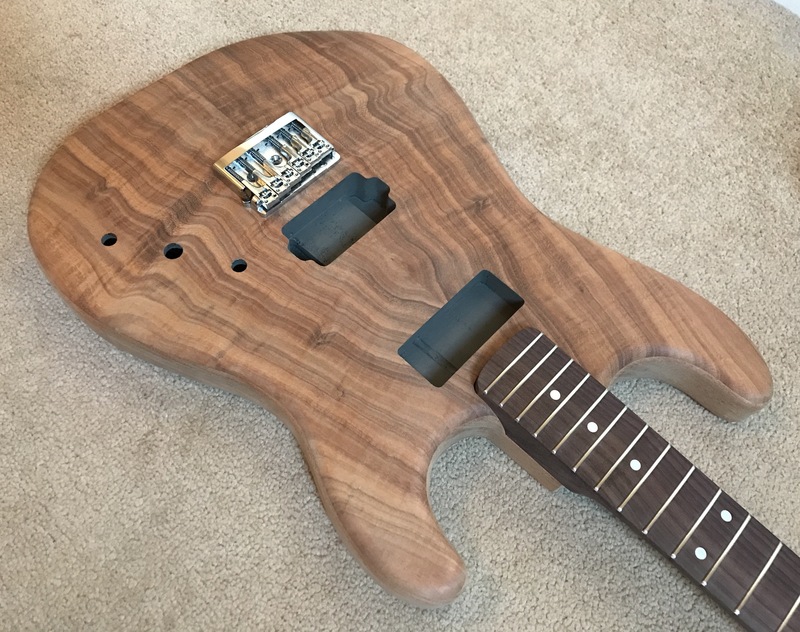 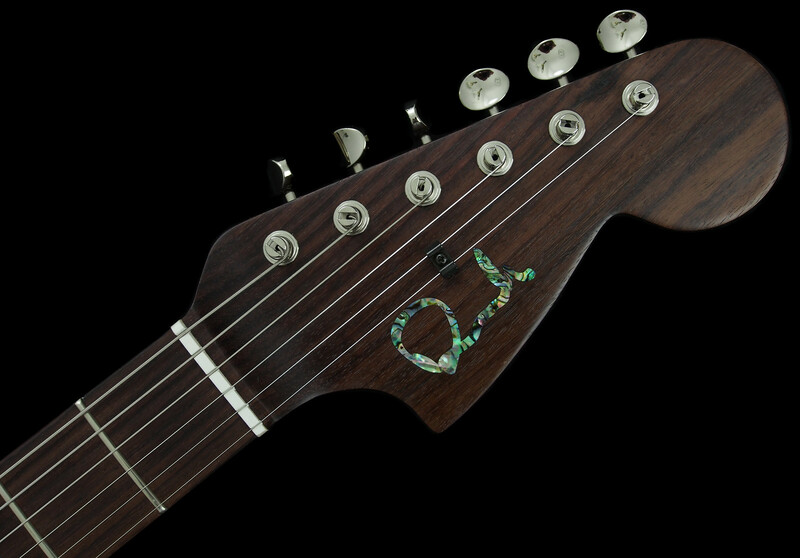 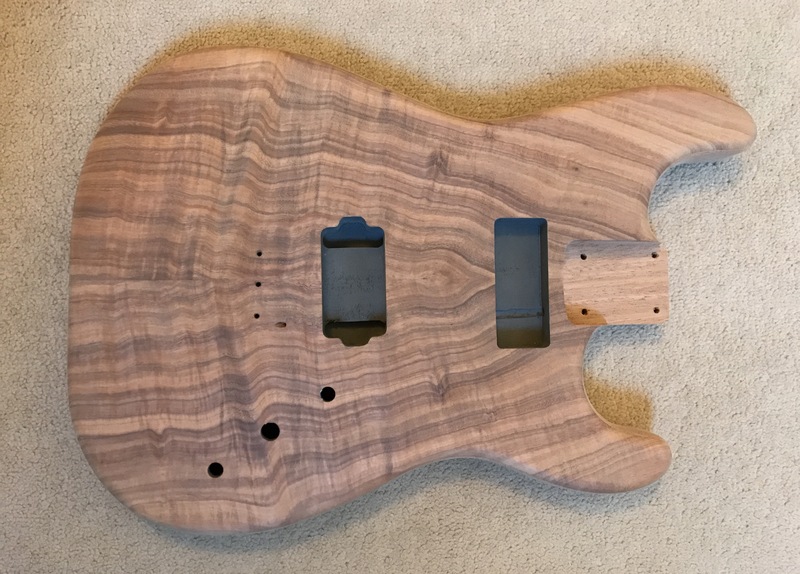 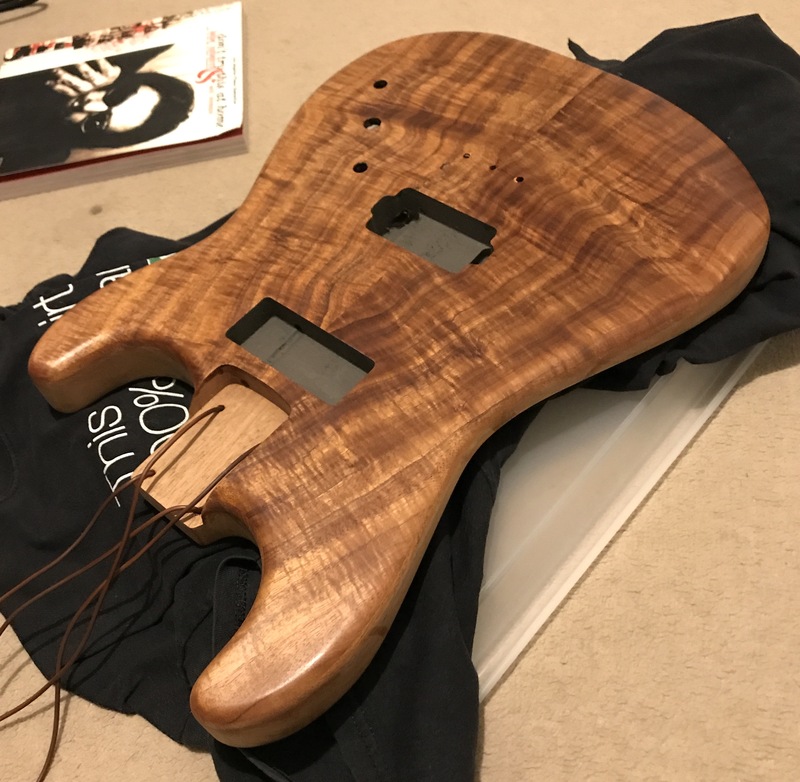 After building the maple/walnut Tele, I decided I needed another rosewood necked guitar in my life, I troubled GSPBASSES with my idea for a hardtail (same Schaller bridge as on the Tele) Strat style guitar, with a fancy top (once I saw the Koa top, I had to have it!) 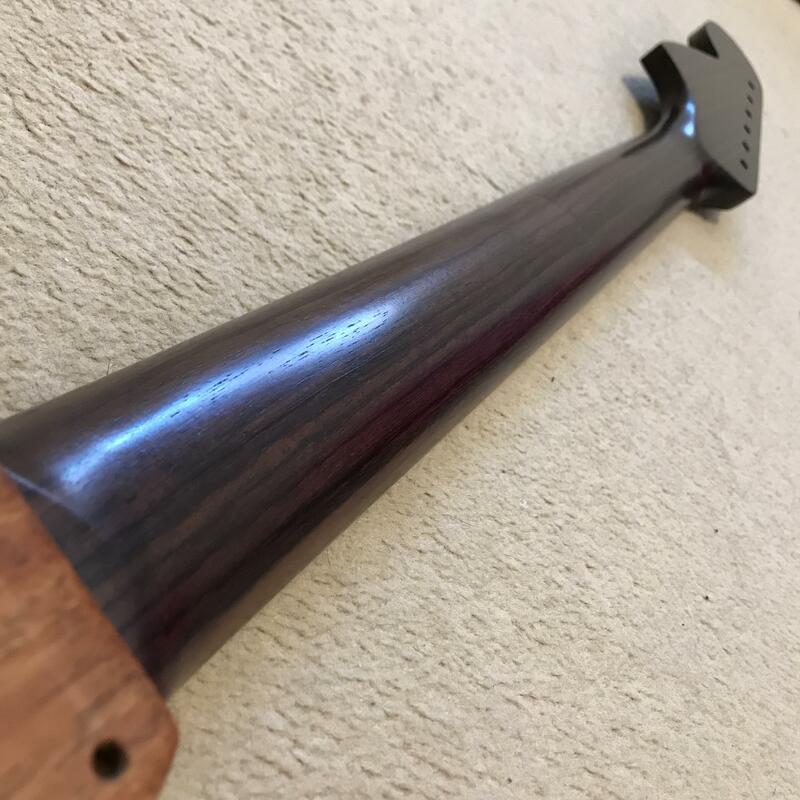 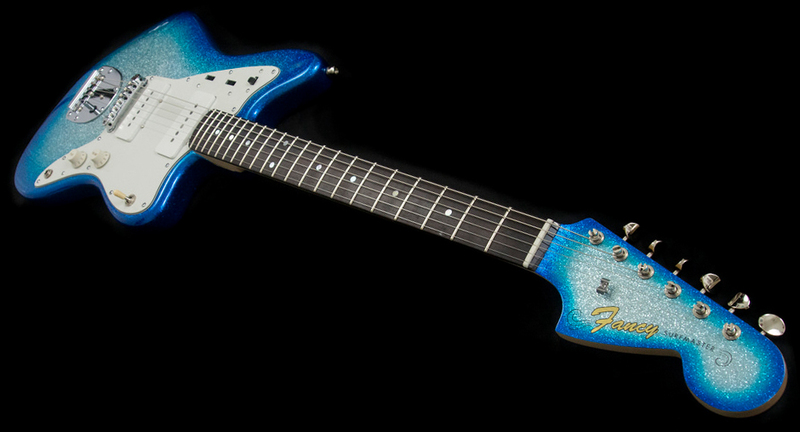 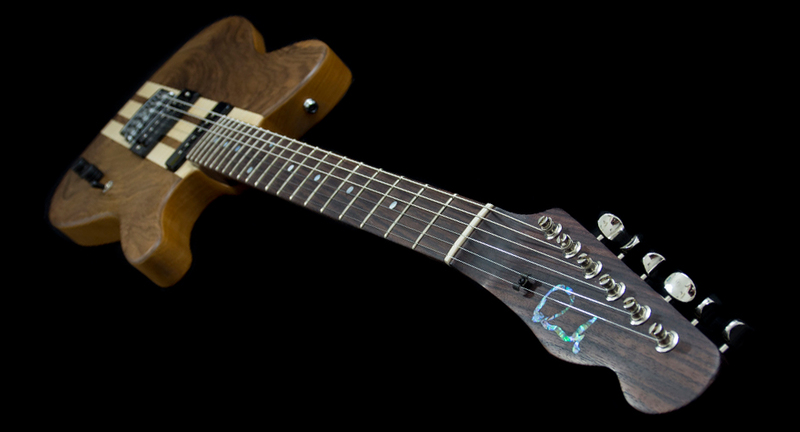 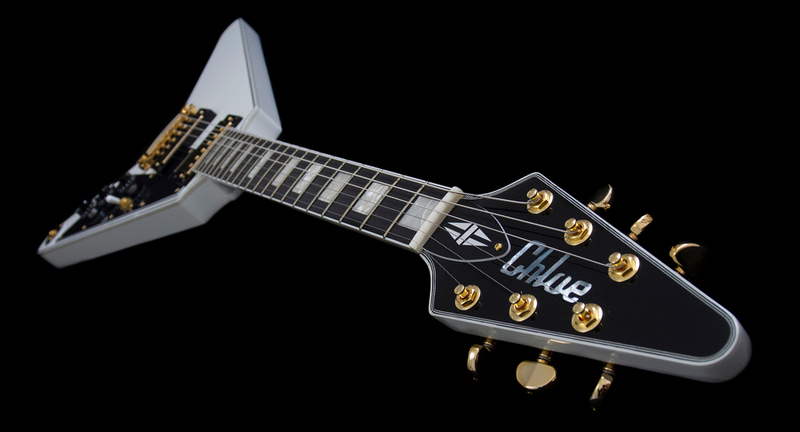 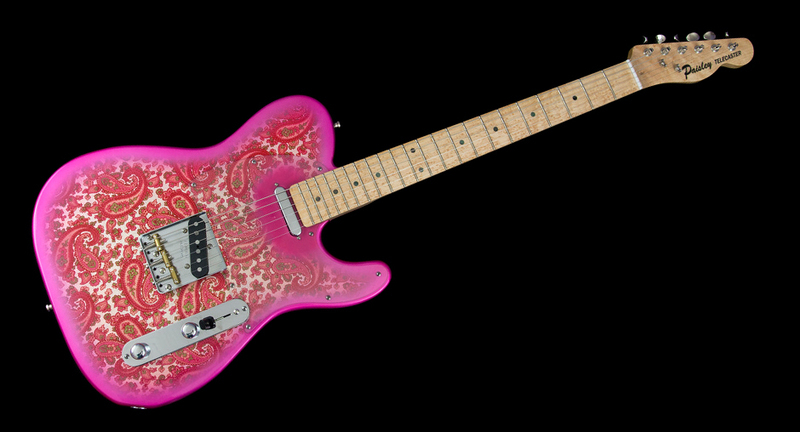 routed for a P90 and humbucker with a rosewood neck that had a 70’s style large headstock. 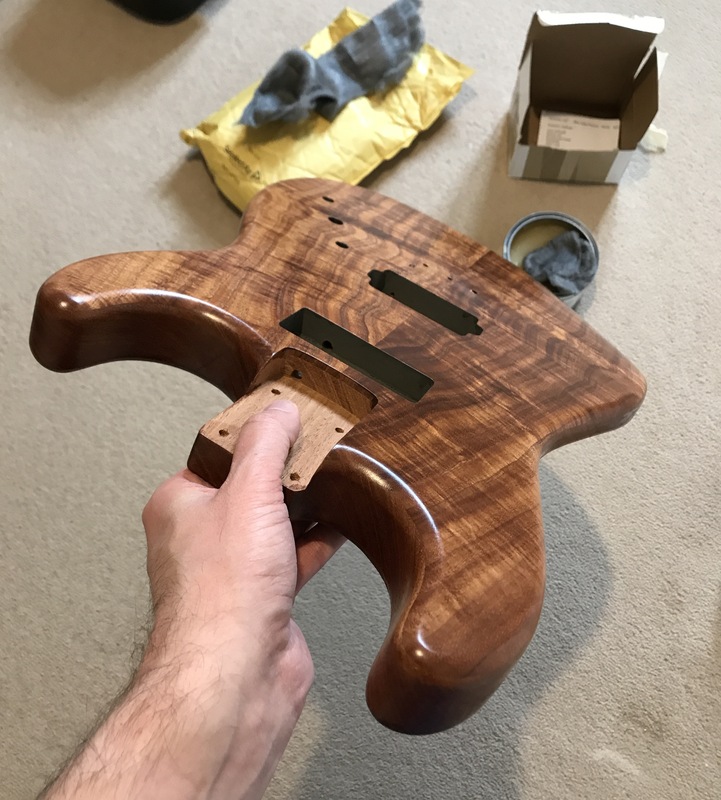 As per the Tele, the plan was to finish with Eze oil and wax for a smooth natural looking finish. 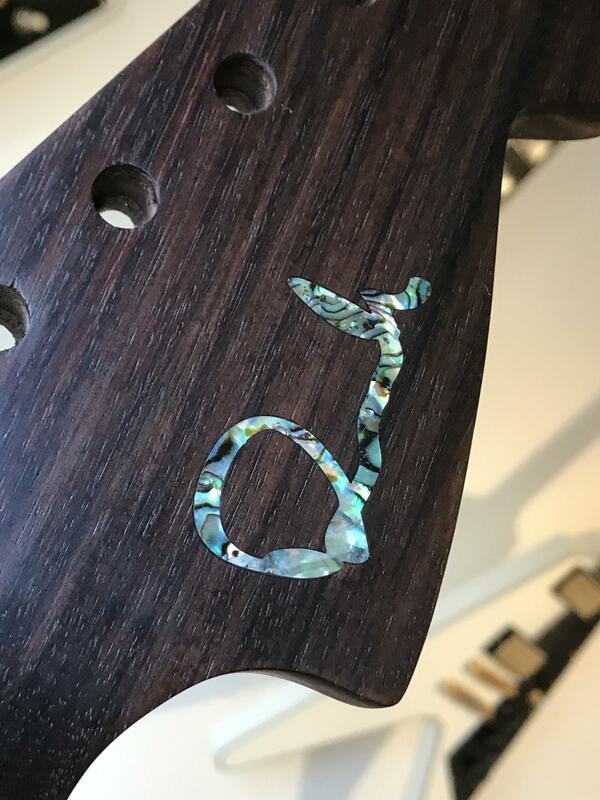 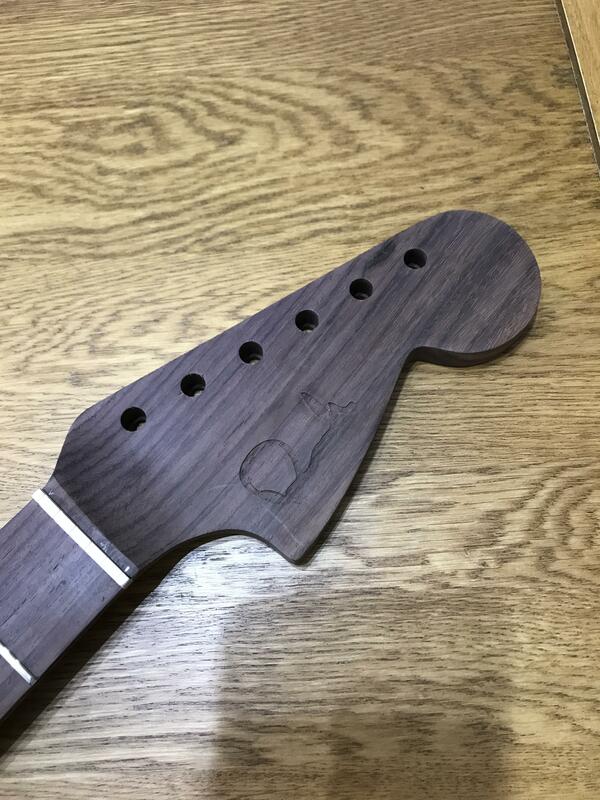 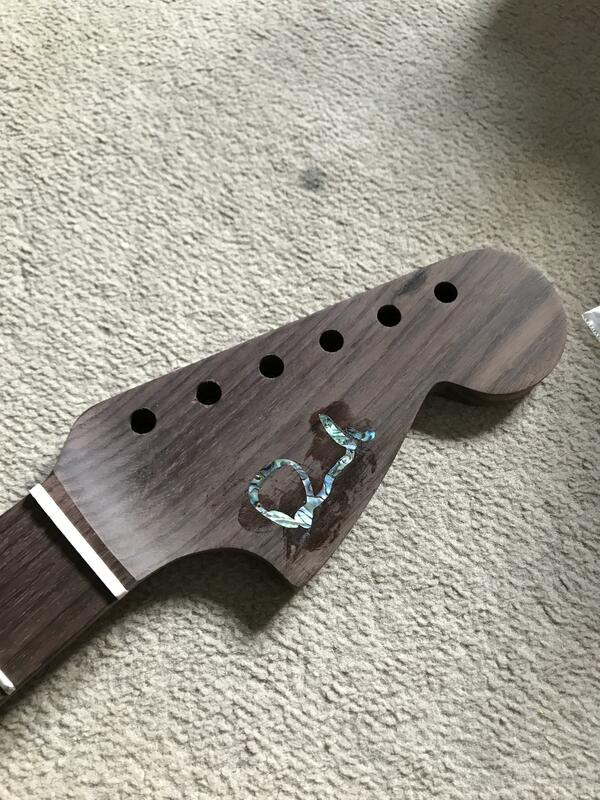 Before oiling, the neck was sent off to Rothko and Frost to have my signature CNC’d (abalone again) into the headstock.